A traditional round head shape for all-purpose work. Can be used for broad strokes yet it will also form a sharp point. 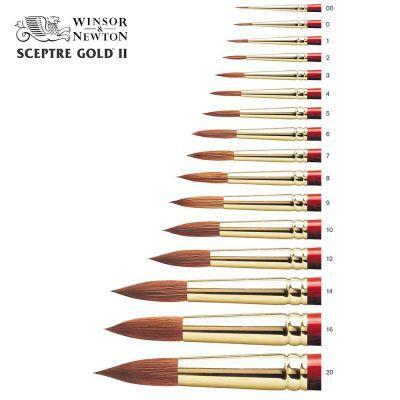 They possess excellent colour holding, sensitivity, spring and durability. Seamless, golden brass ferrules. Red wood-grained polished handles. 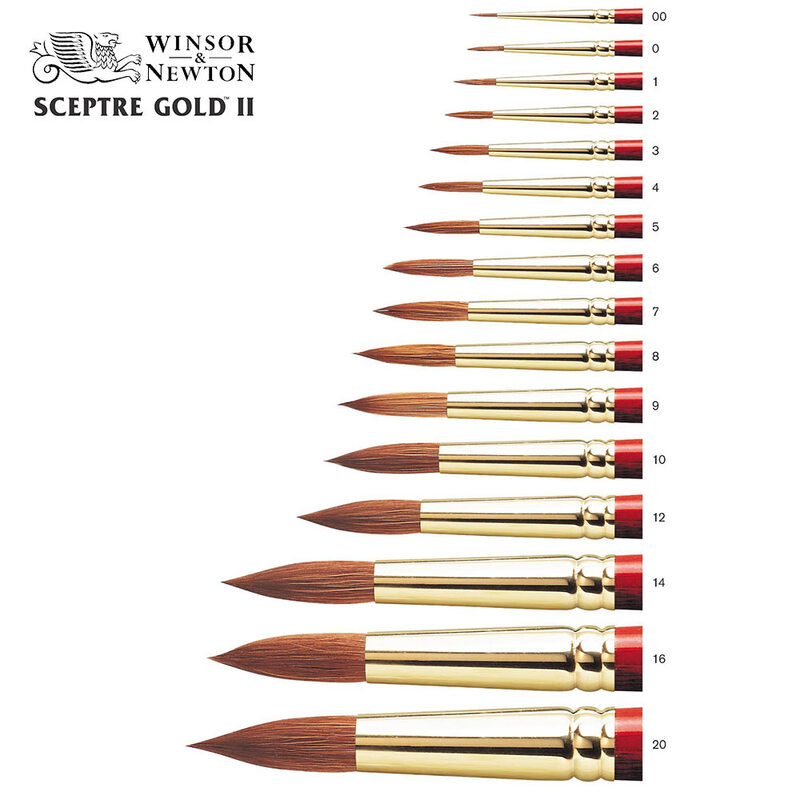 I have bought a couple of these brushes a few years ago, and they are the best brushes that I have ever used, and that includes some very pricey Kolinsky sables that I have. 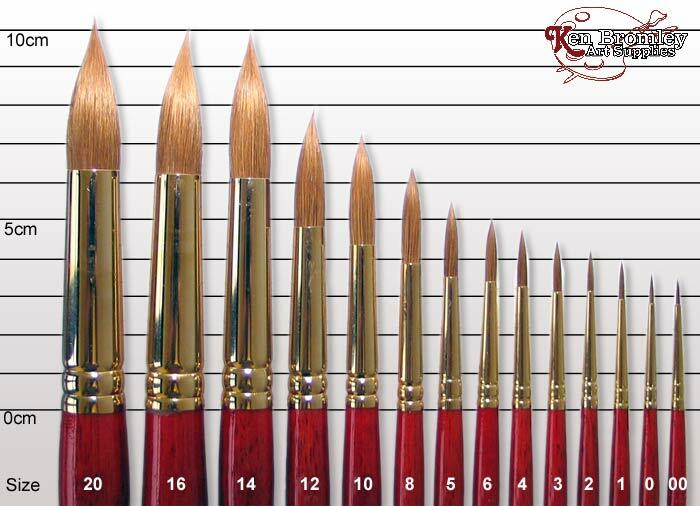 I use the smaller sizes, 2 and 4 for detail in oil, and sizes 8 and 6 for acrylic, and I also use some flats. They are ioncredibly hard wearing keeping their shape and point for YEARS, quite literally if looked after, and are very responsive. I bought 13 brushes and got 2 of them disheveled (#00, #12) had to use aruba gum in order to fix them. Besides that, the brushes are great, they do hold water really good and the spring is wonderful. I really like them. Good brushes for the price..